The following land conservation options are designed to assist with land acquisition and land protection planning. Additional guidance from an attorney, tax advisor, and/or professionals familiar with these concepts is helpful and recommended. For example purposes only, Cape Cod land trusts have been referenced to illustrate many of the concepts. Municipal conservation commissions, open space committees, community preservation committees, and other conservation-minded agencies can implement these same land protection ideas. Giving the land to a non-profit conservation organization or to a government agency is the simplest way to protect land. It is only necessary to obtain acceptance from the agency or organization to whom the land will be donated, prior to deeding the land. A gift insures long-term protection of the land. The donor receives tax benefits in the form of federal income tax deductions, potential estate tax benefits, and relief from property taxes. The donor is relieved of management responsibilities, and automatically absolved of liability associated with any trail use. 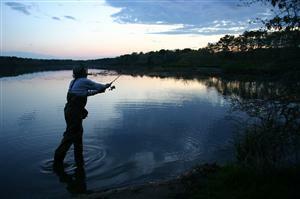 About 80 percent of the properties preserved by land trusts on Cape Cod were donated. About 30 parcels per year are donated outright in this manner. Typically, the only cost to the land donor is for an appraisal, which certifies the value of the donated land for federal income tax deductions. Appraisals are needed when the claimed value of the deduction is more than $5,000. Land trusts and municipalities usually ask donors to pay remaining property taxes on the land before it becomes tax exempt in the next fiscal year. A gift of land made through a will entitles the donor to retain full use of the land during his or her lifetime and assures that it will be cared for in the future. It is advisable to discuss the gift with the agency or organization prior to inclusion in a will, to insure a plan for the care of the land. The donor is responsible for real estate and income taxes for the property during his or her lifetime. But removing the land from an estate will reduce inheritance taxes. Combined, Cape Cod land trusts typically acquire one property per year via bequests. These properties tend to be large and valuable, often part of a family’s estate. In 1993, the Barnstable Land Trust acquired a large coastal woodland fringed with salt marsh through a bequest. The donation lowered the value of the family estate by about $1 million, enabling the family to retain most of the remaining land, rather than selling it for development to pay high inheritance taxes. A donation with a reserved life estate may be made to a government agency or conservation organization. The donor retains the use of the land during his or her lifetime, and the lifetimes of specified family members. A reserved life estate insures that the land is protected in perpetuity, yet allows the donor to reside on it and maintain the land. The tax advantages with a retained life estate are less that those with an outright donation. On Cape Cod, in 1993, a family donated five acres of dune and salt marsh to the Truro Conservation Trust, while reserving the right to use the parcel for family boating and beach bathing during their lifetimes. The reserved right slightly lowered the value of the land gift. Many conservation organizations and agencies will accept a gift of property with little or no environmental value, sell it on the open market (with restrictions, if appropriate), and use the money for the preservation of other ecologically significant lands. 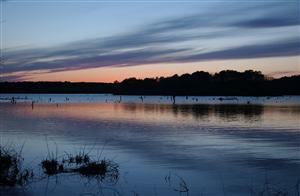 The landowner is eligible for the same tax benefits as a gift of conservation land. This option has been rarely used on Cape Cod. In 1988, the Brewster Conservation Trust received a gift of title to a time-sharing unit in a local condominium. The Trust sold the unit for $2,000 and put the money towards the purchase of the Windmill Meadows parcel. The donor received a tax deduction for the value of the time-sharing unit. Sale at fair market value is the sale of property at the price a knowledgeable buyer would pay for the land. Most conservation organizations are not able to purchase land at full value owing to the high cost of land and insufficient funds. If the land is sold at full value and has appreciated in value since its purchase, the seller will be liable for income tax on the capital gain. This can affect the net profit from the sale. There are no charitable deductions associated with a sale at full value. 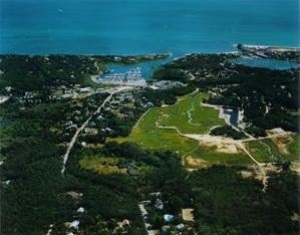 Many Cape Cod towns have purchased open space at fair market value, owing to the intense competition for land during the development boom. A land trust has almost never paid full value for land. The Windmill Meadows purchase in Brewster for $145,000, at the peak of a real estate boom of 1988, is one exception. The seller realized no tax deductions. A bargain sale is part donation and part sale to a government agency or non-profit organization. A bargain sale may entitle the seller to an income tax deduction for a charitable contribution and to a reduction in capital gains tax. The value of the income tax charitable contribution for the seller equals the difference between the fair market value and the lower negotiated selling price for charity. The net cash to the seller at the bargain price may approximate the fair market sale when the tax deduction is taken into account. Capital gains must be calculated on the sale part of the transaction. A gain is recognized if the property is sold for more than its basis (the basis is usually equal to the original cost, plus improvements and minus depreciation). For bargain sales, the basis of the property must be allocated proportionately between the part sold and the part donated. The income tax charitable deduction from a bargain sale could be greater that the capital gains tax liability that results from the sale at fair market value. 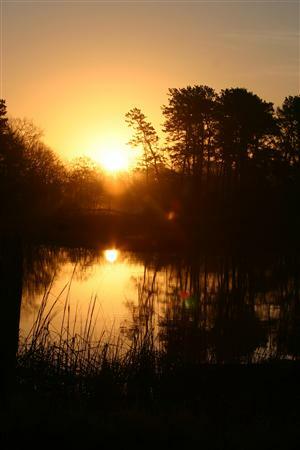 In the 1990s, the Truro Conservation Trust purchased six acres of beachfront land for $200,000; the Orenda Wildlife Land Trust purchased 28 acres of land in Brewster at less than $5,000 per acre; and the Chatham Conservation Foundation purchased 23 acres along Goose Pond for $382,000. All of these purchases were paid for through private fundraising. In each case, the seller received substantial tax deductions for selling below full-value to a charity. An installment sale allows an agency or organization to purchase property over a period of years. The use of the land and the responsibility for payment of property taxes until the sale is complete are negotiable terms of the agreement. The seller benefits financially by spreading the income and the taxable gains over several years. The amount of taxable gains depends on whether or not the land is sold at fair market value. The Bourne Conservation Trust has used this technique successfully to buy many parcels. In a few cases, the sellers arranged financing by “taking back ” mortgages, enabling the land trust to raise money and pay off the purchases over time. A conservation restriction, also known as a conservation easement, is a legally binding agreement between a landowner and an agency or organization. The landowner retains title to the property, but extinguishes certain development rights in the property. Easements typically restrict dumping, mining, paving and development of houses, while allowing traditional family uses of the property. The restricted land can be sold, but the restriction runs with the land to the new owner. Tax authorities recognize the fact that the landowner has relinquished a significant portion of the property’s economic value by extinguishing his or her right to develop the property to the fullest extent. The Internal Revenue Service may grant income tax deductions and estate tax reductions equal to the value of the land forgone by donating a permanent conservation easement. The landowner must conduct an appraisal of the extinguished value to justify the deduction. Lands with conservation easements are often granted local property tax relief. Cape Cod towns typically offer a practice of property tax reductions to landowners who place conservation easements on their land. These reductions can be generous, ranging from 75 to 95 percent, reflecting the diminution in value caused by extinguishing certain development rights. Some towns offer extra tax reductions if public access, such as for trail use, is allowed. Conservation easements have been used effectively on Cape Cod to protect significant parcels of land. To date, more than 4,500 acres have been protected in this manner. Types of land that have been protected by conservation easements include salt marshes, barrier beaches, islands, dunes, pine barrens, shrub swamps, meadows, pond shores, and freshwater streams. About a dozen properties are preserved each year on the Cape by conservation easement. A recent example on Cape Cod found that 5.5 acres of buildable land were worth $295,000 before the conservation easement was donated, and $85,000 after the restriction. The landowner was entitled to a $210,000 charitable deduction for income taxes and estate taxes. The town reduced the land’s assessment by 85 percent as well. Deed restrictions guiding the future use of property may be placed in the deed at the time the property is transferred. Deed restrictions differ from conservation easements in that there is not a third party that assumes responsibility for monitoring and enforcing the restrictions placed on the land. The seller is responsible for enforcing restrictions placed on a parcel of land before it is sold. If the seller has placed restrictions in the deed, and retains no land nearby, he or she may not be able to enforce the restrictions against the subsequent owners of the land. Under Massachusetts common law, most deed restrictions expire after 30 years. Deed restrictions will usually affect the market value of the land if they significantly limit development potential. The presence of a restriction may lower the price if the property is sold, or lower the value of the gift if the land is donated to a conservation agency. The IRS does not allow a claim for a loss in value resulting from deed restrictions as a charitable deduction. A donation of land to a conservation agency, in which the agency inserts the deed restrictions, does allow a claim of the full fair market value of the land as a charitable contribution. A conditional transfer gives more force to a deed restriction. The deed contains a clause which states that if the restrictions entered in the deed are violated, title to the land will revert automatically to the original landowner and heirs, or be transferred to a conservation agency, depending on who would be in the best position to protect the land and enforce the restrictions. The owner can lose the title to his or her land if the restrictions are not adhered to. The lowered value of the land resulting from conditional transfers may allow the landowner to claim the transfers as a charitable deduction if they are donated to a qualified organization or agency. Restrictions may reduce the value of a gift. A landowner may choose to transfer land, prior to placing restrictions on it to a qualified agency or organization who will place restrictions on the land. The result is a maximum income tax deduction and long-term protection of the land. A landowner may desire to sell his or her land to a conservation organization or public agency that is not in the position to purchase it immediately. The landowner can sell or grant an option to the buyer that guarantees the opportunity to purchase the land in the future. An option establishes a price at which the buyer could purchase the land during a specified period of time. A right of first refusal is less specific; it simply guarantees the conservation organization or agency the opportunity to be notified of the landowner’s intent to sell. The potential buyer may then make an offer. If another party offers an acceptable price for the land, the organization/agency has the opportunity at that time to match the price offered and purchase the land. Both techniques provide legal means for a group to purchase land at some time in the future although the group is not bound to do so. Instead of involving an agency, a mutual covenant involves only the nearby or adjacent landowners who are interested in protecting their land. The landowners enter into an agreement controlling the future use of their land through restrictions agreed upon by all participating landowners. Such agreements are permanent and could be enforced by any of the landowners or future landowners. Mutual covenants can reduce property taxes and estate taxes. 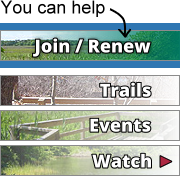 Leases are an alternative to permanent transfer of land to a conservation agency or organization. A lease allows unrestricted and exclusive use of the land for a given number of years. Restrictions and provisions for termination of the lease can be incorporated. The landowner can seek indemnification from liability if the land is for public use. It is not possible to take a charitable deduction for the value of a lease. A management agreement is a legal contract between a landowner and a conservation organization requiring the landowner to manage the property in a specific way for a determined amount of time. A management agreement is good for landowners who have already been managing their land for conservation purposes. Frequently, management agreements are voluntarily granted by landowners and are designed to suit both parties.